The picturesque North Wales market town of Llanelen is shocked when Meg Wynne Thompson, a self-made beauty who has turned out to be something of an unpopular bride, goes missing on her wedding day. The last person believed to have seen her is manicurist Penny Brannigan, an ex-patriate Canadian who has lived in North Wales for almost twenty-five years. After seeing a photograph of Meg in the local newspaper, Penny realizes that the well-groomed woman who presented herself at her salon was an imposter. She becomes emotionally invested in the case, and sets out to find the killer. It seems several people, including the bride's drunken, abusive father, had reasons to wish Meg dead. But when the trail leads to the groom's home, an explosive secret will shake the small town. "Duncan's debut is a gentle delight sure to please fans of the classic English mystery." --"Kirkus Reviews""A runaway bride is the linchpin of Canadian writer Duncan's delightful debut, which has won the Minotaur/Malice Domestic Best First Traditional Mystery Novel Competition....The scenic Welsh backdrop, village personalities and a budding romance...add color and interest." --"Publishers Weekly"""The Cold Light of Mourning" is a must read for 2009 with hope that another is soon to follow." --"The Hamilton Spectator""Duncan has a fine eye for detail, plays fair with the clues and creates engaging characters." --"Globe and Mail"
Elizabeth J. Duncan has worked as a writer and editor for some of Canada's largest newspapers, including the "Ottawa Citizen" and "Hamilton"" Spectator." She lives with her dog, Dolly, in Toronto where she teaches in the public relations program at Humber College. She enjoys spending time each year in North Wales and is the first Canadian writer to win the Malice Domestic Best First Traditional Mystery Novel Competition. 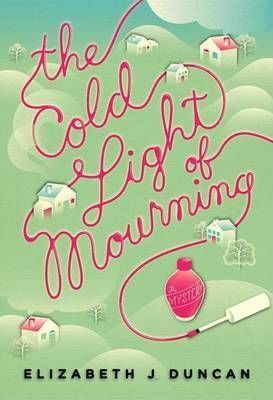 "The Cold Light of Mourning," her first novel, is also the winner of the William F. Deeck-Malice Domestic Grant.